Considering constant notifications on WordPress security vulnerability, one of the questions we constantly hear is “What is xmlrpc.php?” and “How it may help my website?” Let’s try to find the answer in the post below. xmlrpc.php is an interface that is used by WordPress. It is a format that is also used by various other website builders, such as Drupal. 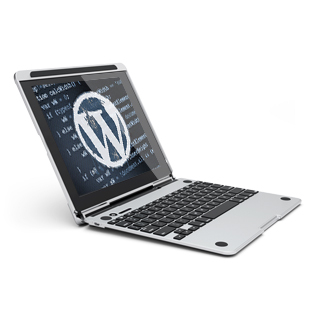 It was only introduced as standard by WordPress for their 3.5 versions. Before this version, php xmlrpc was just user enabled. This is partly because xmlrpc.php is still a fairly new computer language. It allows Macs to make procedure calls more easily, and it helps with the functionality of Unix, Java, as well as IDM mainframes. Computerized sewing machines even use it too. Essentially, php xmlrpc helps a content management system such as WordPress to process tasks much quicker and much easier. When Should xmlrpc.php Be Modified? xmlrpc.php vulnerability is not to be ignored. xmlrpc.php vulnerability has now gone far beyond simply seeing your WordPress website subject to a DDoS attack, and is now exposed to actual hacking from Brute Force attacks. xmlrpc.php is so vulnerable that there is currently no way to protect your website that has xmlrpc.php turned off halfway. For this reason, it is recommended that you close it down completely on any websites in lieu of an attack or threat. With that said, you do not need to modify xmlrpc.php until you have have used a site-tester such as Sucuri Test Tool (or another WordPress security plugin) to test your site for any threats or attacks. If the test comes back clean, you’re okay. If not, you should close your php xmlrpc down immediately. It is also worth noting that xmlrpc.php is also vulnerable to a lot of spam. How Is xmlrpc.php Used In 2015? xmlrpc.php was first developed to be used as an intranet notification system that could be used by anyone who was using WordPress to build and maintain their websites. Due to the aforementioned influx of spam that it couldn’t contain, php xmlrpc is now used mostly as a means to remotely post to WordPress. We know where you can hire dedicated PHP programmers! Just contact us. Want to fix your problem with xmlrpc.php file? Contact us below to get it solved! Is It Affordable to Build a Dedicated Development Team in France?